For today we’ve saved what just might be the bluest car we’ve featured all week. 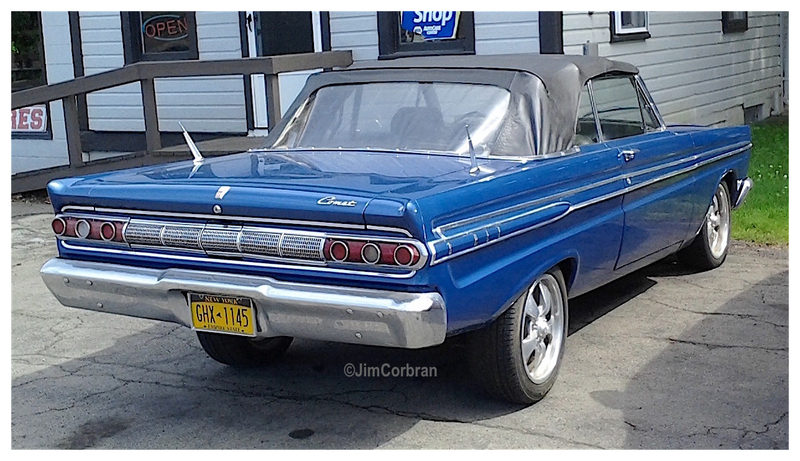 This 1964 Mercury Comet Caliente was the Big M’s compact drop-top, a post it held through much of the decade. 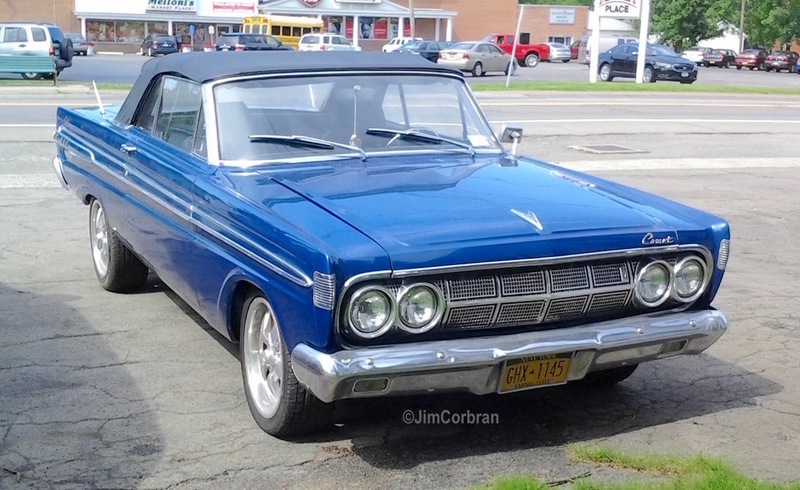 The Comet started life as a cousin to Ford’s Falcon in 1960 (actually, if you go back even farther, the Comet was supposed to be an Edsel, but we all know how that turned out), but in ’66 it moved up a notch in size and shared the intermediate platform with Ford’s Fairlane. The Comet name made a comeback in the 1970s as Mercury’s version of the Ford Maverick. Saw this really blue example last summer in Youngstown.